Are you frustrated with your marketing efforts because your business isn’t gaining any traction? There may be many reasons for that, but sometimes it is simply because you don’t know who your customers are. Good marketing starts with speaking directly to your customer or prospect, in language they themselves use and with which they are comfortable. I have one new client – an established service company – who has no idea who their ideal customers are. In fact, they don’t even understand who their customers have been historically. This is fairly common for a small business, but it doesn’t make it okay – especially if you want to grow! At that point you have to stop with the shotgun (also known as the “throwing spaghetti at the wall and hoping something sticks” ) approach to marketing. The customer identification problem for this client is compounded because they believe theydo know. But they’ve made two mistakes: they cast too wide a marketing net, and used faulty underlying assumptions about their customer-base. What happened? Their business hasn’t grown the way it should have. And they know it. Now we’re on the path to fixing the problem by taking the first step of data mining their client list. Everyone has an ideal customer. Customers are drawn to you for any number of reasons. It could be your attitude. It could be your background. It could be a specialty that differentiates you from your competition. It is most likely a combination of these factors. The key is to understand what draws a particular pool of clients to you…what is it about you that attracts them. Once you understand whycustomers come, you’ll know how to market to them more clearly. The most effective marketing requires a laser-like focus. First, understand the psychology of your audience and quantify them. Second, produce content specific to the needs and perspective of that audience in a voice they find engaging. Who you’ve sold to in the past has historically been one of the biggest predictors of who you should be targeting in the future. This is about more than collecting mailing addresses or emails – you need to understand the common traits of customers who’ve sought you out in the past so you can begin to build campaigns that target that audience – an audience that you know is already comfortable buying from you. The more engaged you are online, the better the demographic data available to you. Sites such as LinkedIn provide access to Follower and Page Visitor demographics. While it is just broad data, it allows you to get a sense of where your customers are, what types and sizes of businesses they come from and their position in the company. Google Analytics – which most businesses from small businesses to billon dollar companies install on their websites – is a much richer source of client demographics that shouldn’t be ignored. Take half an hour to look at the various analytics pages each month. Sometimes, large demographic assumptions will become clear (“wow, my audience is almost exclusively in Sedona, Arizona” or “every single visitor to my site is from a huge corporation”), though such trends should be watched and evaluated over a period of months. The lists you assemble of customer prospects (yes, you should be doing this!) – whether it’s a business card from a networking event or an email list signup form – can also shed light on your customers. Email addresses can sometimes speak volumes. For example, mary@merck.com or amy@amgen.com – they tell a story of potential Big Pharma customers. Business cards provide additional demographic tidbits: a person’s title, for example, can indicate whether they have buying or recommending power for your product or service (e.g., “VP of Sourcing”). No matter how casual, each conversation you have with a customer or prospect can be enlightening – and a source of demographic data. Casual comments – “We love that you’re open at 7:00am,” or “Everyone on the West Side raves about this place” – can shed light on the reasons people come to you. They can also help you understand which particular demographics – location, age, income bracket, company size, etc. – matter to your business. Even if you don’t know exactly who your customers are, your competition might…and they also might help you on your path to ‘demographic discovery.’ Whether it’s signage in their windows highlighting a particular benefit to customers or a slew of web pages aimed at tweens on their website – look at what your competition is saying, and try to understand who they are saying it to. If they are competing for your clients – and especially if they are succeeding in pulling some away from you – understanding their message can help you clarify your own. 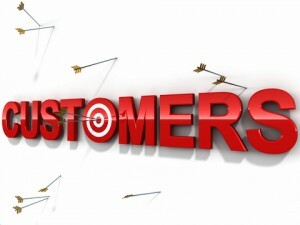 Your ideal customers typically have the same problems. These problems lead to the same thought patterns and underlying emotions – whether it’s fear, envy, confusion, anger, joy, happiness, or love. Knowing their emotional state, why they take action the way they do or why they think the way they do, is key to crafting your marketing messages. Share what steps you’ve taken to understand your customers in the comments!